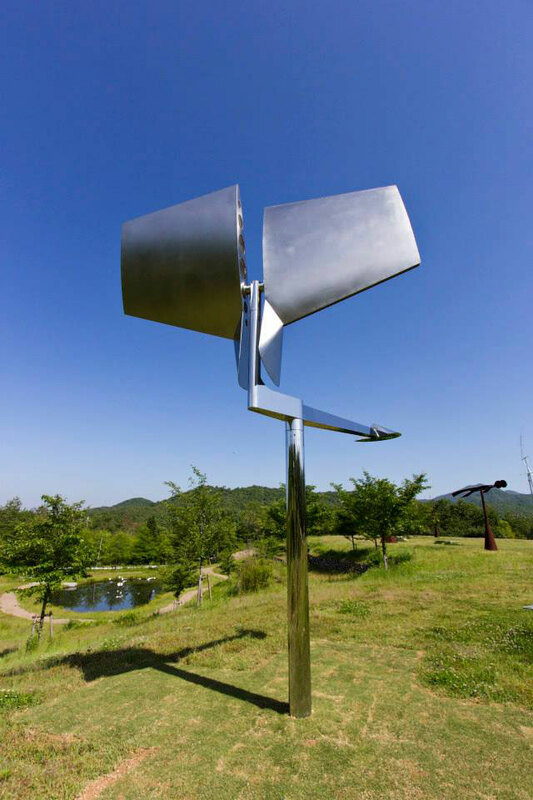 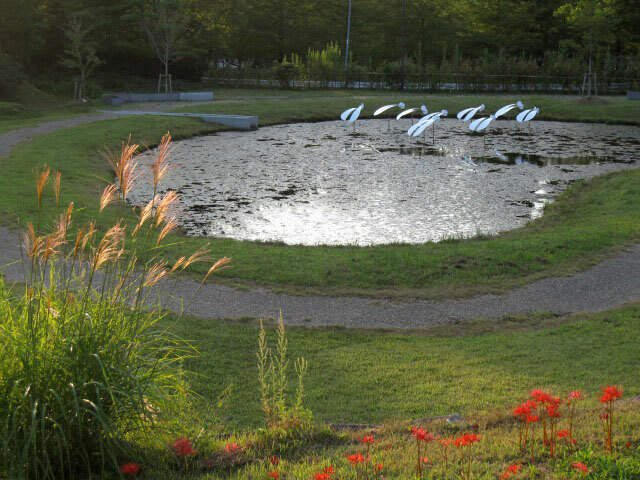 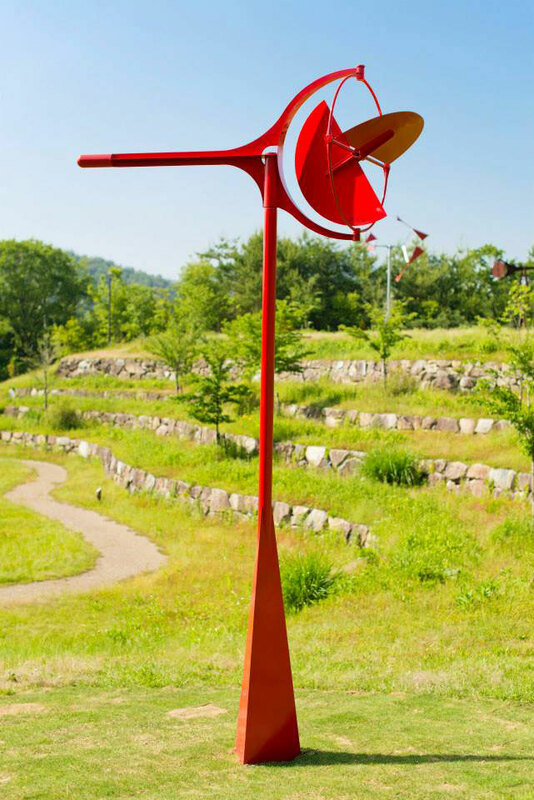 In Japan, the Susumu Shingu Wind Museum opened last Saturday June 21st. 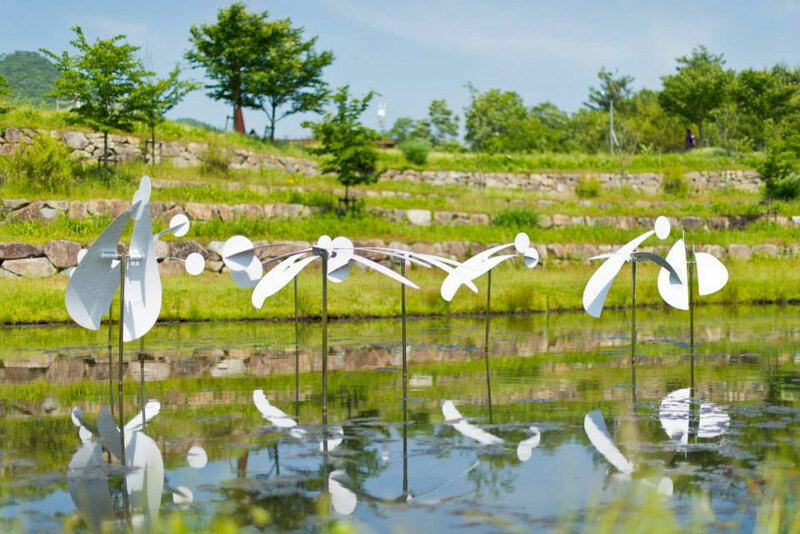 Throughout 3000 square meters, the Wind Museum presents 12 kinetic sculptures by the artist, which evolve in their natural environment and move by the energies of wind and water. 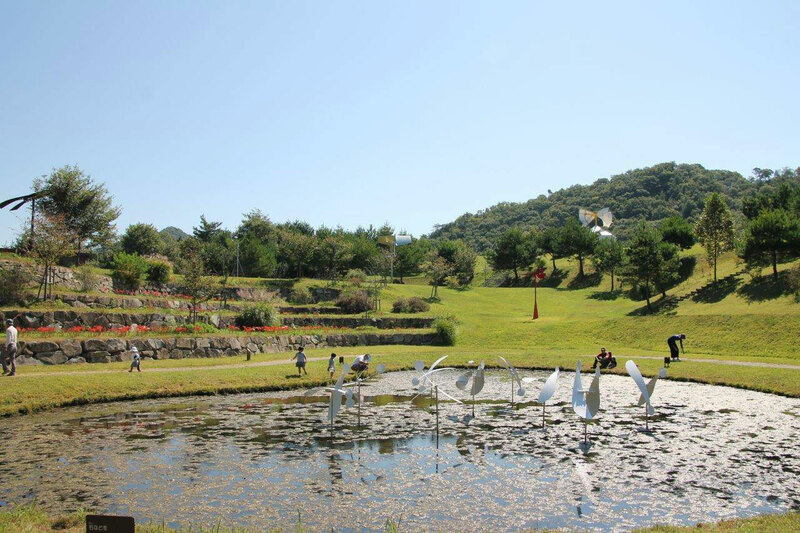 Ideally located close to Osaka, Kobe and Kyoto, the museum has been built at the foot of Arimafuji Mountain and Senjoji Lake in Sanda, Hyogo Prefecture. 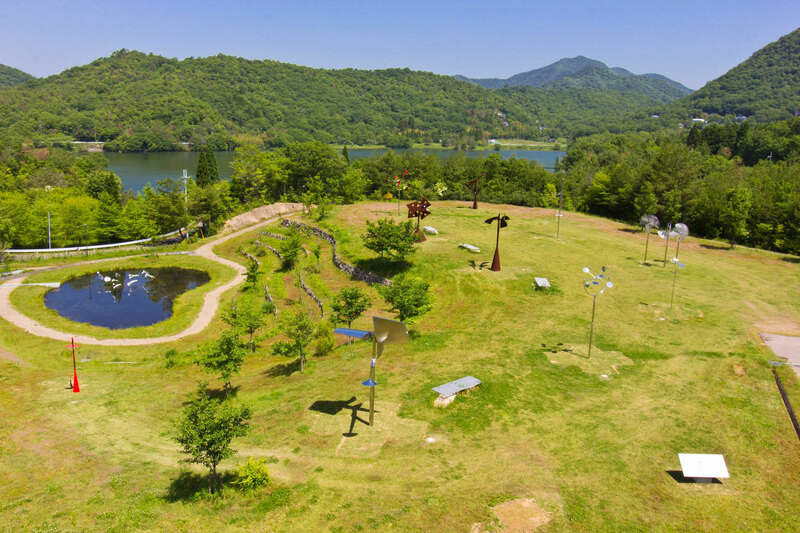 The governor Hon Toshizo Ido inaugurated the museum together with many personalities such as the world famous architect Tadao Ando, whose ceremony speech was full of appraisal for Shingu’s work, which “should be known by all”. 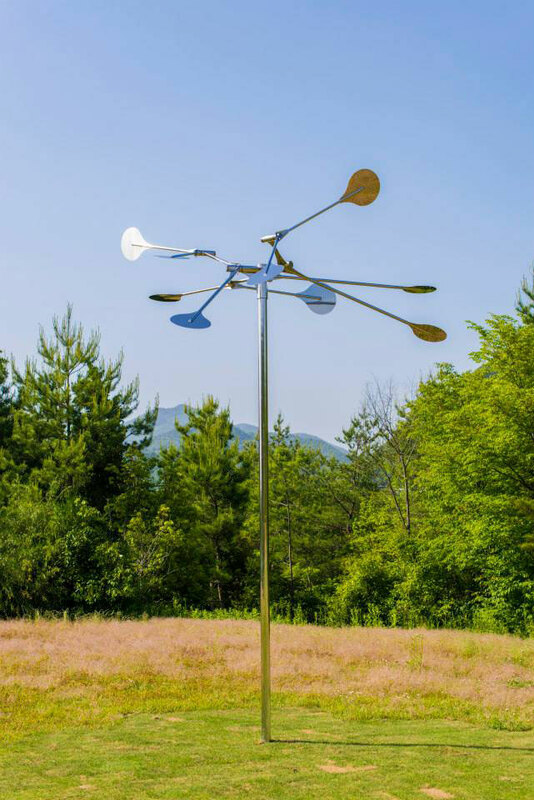 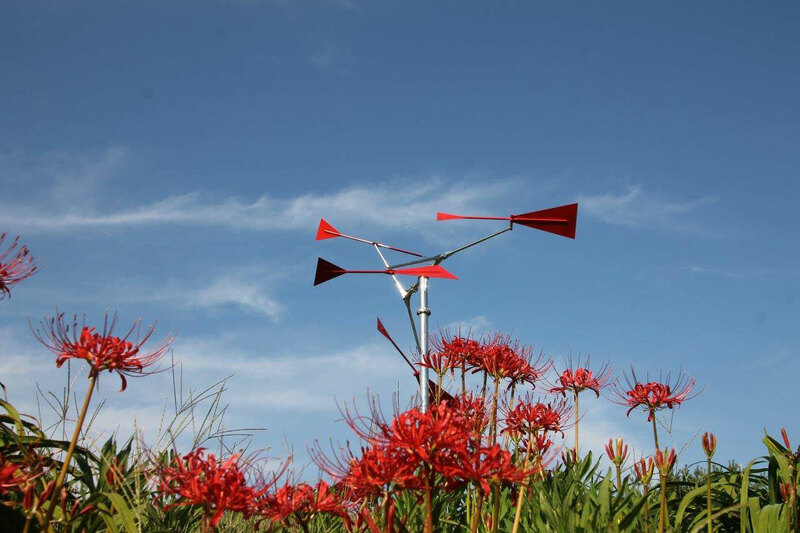 More than 400 guests admired the 12 sculptures that vary in shape, colour and scale, while dancing in the wind according to their own life and character.